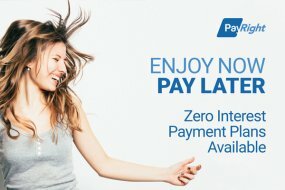 we are excited to offer you a simple interest free Payment Plan system managed by PayRight. A range of medical grade cosmetic treatments which include Jessner Peels, Advanced Acne Peels, Collagen Induction for Skin Rejuvenation and IPL hair reduction treatments. We also offer superior clinical organic skincare treatments. All our products are free from, synthetic oils, fragrances and harsh chemicals. Offering non-surgical options for the face and body, our treatment menu includes IPL, Skin Resurfacing, High Performance Peels and the latest Microdermabrasion technology. We also offer traditional beauty and body treatments such as waxing and tanning services, detox sauna, hydrotherapy spa and makeup. Our prices are competitive and we offer a free skin consultation before every treatment is conducted. There is a reason Elements MediSpa is a favourite for residents of Scarborough, Doubleview and surrounds. Experience it for yourself today. Call 9445 1513 to book an appointment or book online at a time that suits you.